This hands-on course has been designed to meet the needs of those wanting a broad understanding of IP Surveillance systems and its implementation. The course provides a solid understanding of IP surveillance architecture covering system design, Implementation over LAN/WAN/VPN, security issues and real life surveillance application. 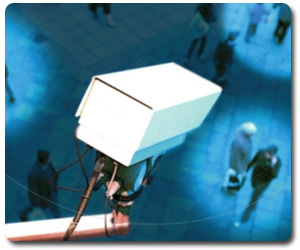 The course details the relationship between IP surveillance system and traditional CCTV system. You will understand the critical factors to consider when designing and setting up a surveillance system. You will be proficient in designing, implementing and maintaining small, medium and enterprise Digital Surveillance system. The course incorporates a comprehensive manual and slide presentation to ensure thorough understanding of each module. The intensive hands-on session is tailored to give you the confidence you desire to handle IP Surveillance projects comfortably and professionally. o Technical Directors and Managers. o Developers of Surveillance systems and security. o Technical sales and marketing professionals. o Staff responsible for monitoring surveillance equipment. o Project Managers, Cabling Installers, Network Engineers, IT System engineers. o Administrators, Maintenance Engineers, Maintenance Technicians & Estimators.